The Super-Adaptoid was one of my favorite villains, with his power absorbing abilities and I just dug his "mashed up" look with all the Avengers attributes in his costume. 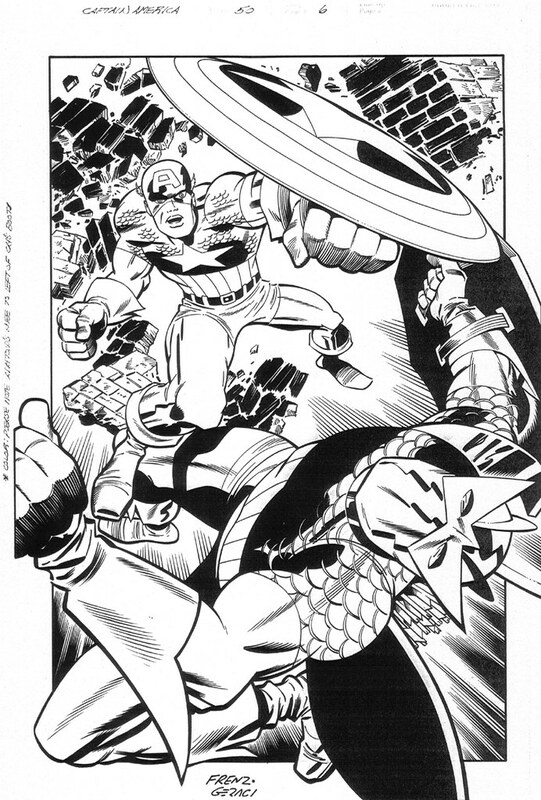 Ron Frenz and Bruce Timm did this smashing illustration for Captain America #50, back in 2002. The spirit of Jack Kirby certainly lives on in this one. Drew Geraci inked this same page over Frenz, which I found on Drew's website. Interesting, two inked versions of the same page! Nuff Said.